Warrior Sailors have branched out into several exciting directions since the month-long roll out of racing in July. Anthony Torrez, from Los Angeles, is working a month long internship with North Sails in Newport, RI while staying onboard the USMMA’s Audrey (and learning to maintain her). 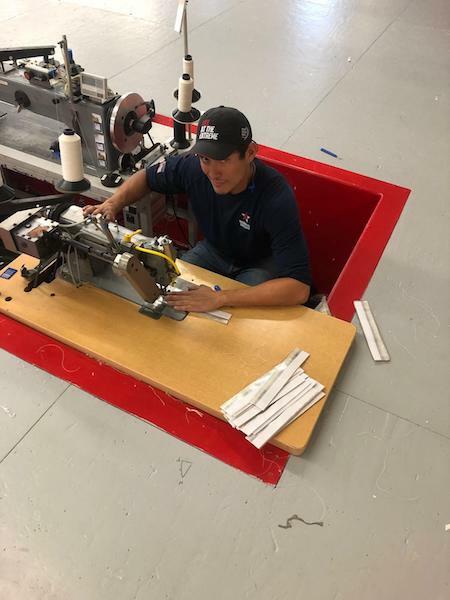 Anthony said, “the atmosphere is incredible and he enjoys being around people that work and sail in the heart of the American sailing community.” He’s even more excited to have the opportunity to learn in the largest sail loft in North America. Thanks North Sails! Bryan Stuart is racing on a Volvo 70 with Sailing Foundation Captain Jan. He’s learned a lot about the pace of a professional team while working on the grinder team.